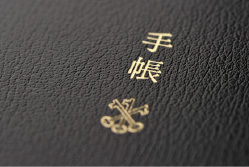 The Japanese characters for techo, along with the ARTS&SCIENCE logo, are stamped in gold on this chic, textured black cover. 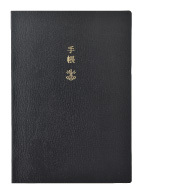 The Japanese characters stamped on the cover are an invitation into the world of the techo. 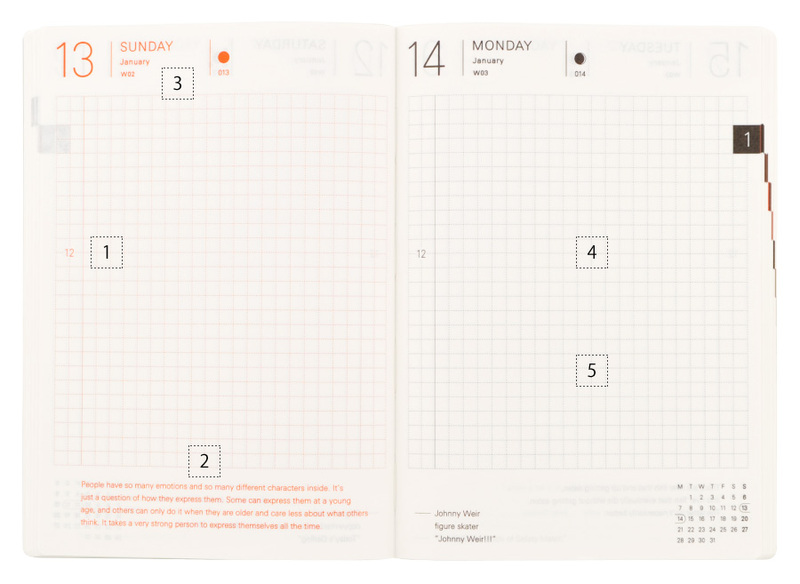 The page design is simple, making it easy to customize. 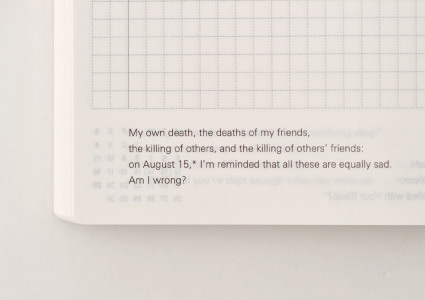 The Hobonichi Planner retains all the things that make the Japanese version great. 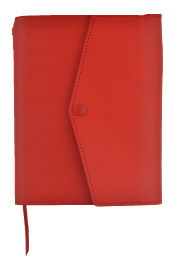 A handy section in the back includes fun items of interest about Japan and countries around the world. 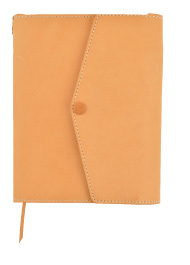 Sonya Park designed these soft, lightweight leather covers to evoke the feeling of tossing on a light coat. 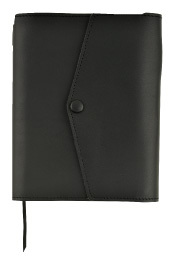 The cover flap clasps shuts with a single button and holds the pen inside. 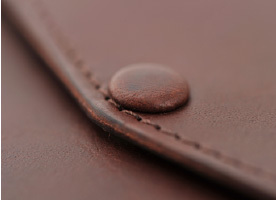 Sonya personally chose the best materials on the principle that making something of the highest quality means it can be used for years. 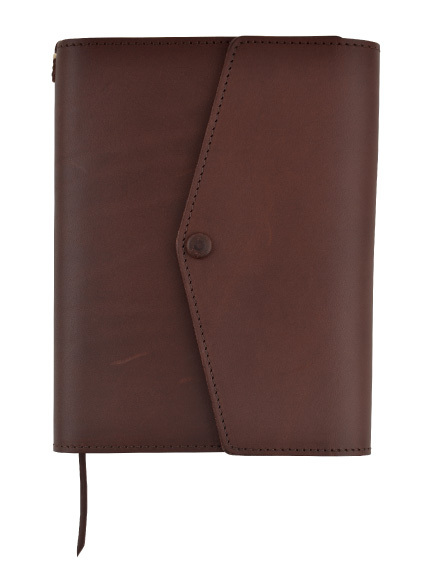 The soft, lightweight leather has a texture that matures with use, and helps the Planner fit even more snugly in your hands. 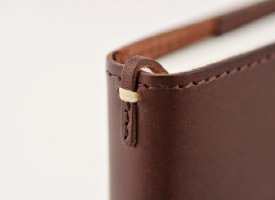 The leather bookmarks are sewn on by hand.Sonya believes in combining the merits of hands-on craftsmanship and precise automation. 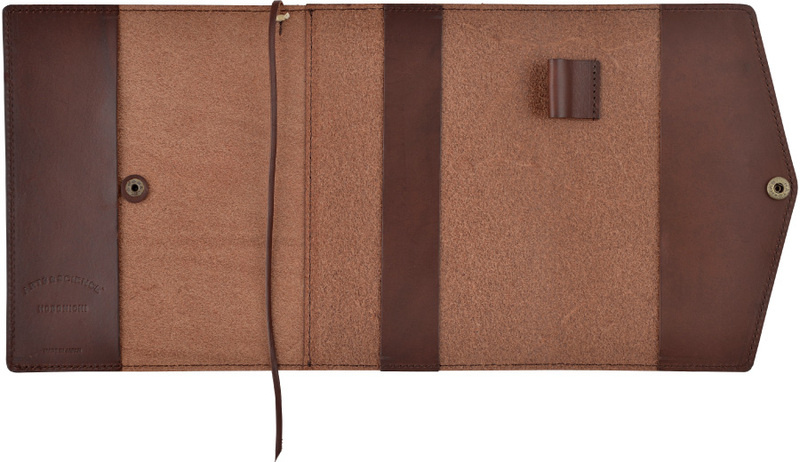 The buttons are also wrapped in leather. 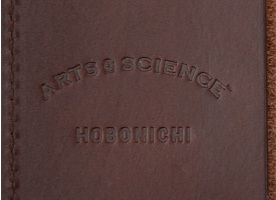 Embossed inside the cover is an original logo to commemorate the collaborative efforts of Hobonichi and ARTS&SCIENCE. 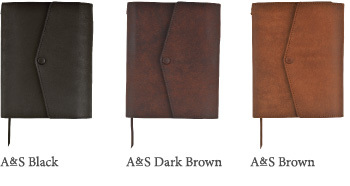 The covers available at ARTS&SCIENCE shops are only available as a whole set with the planner pages. 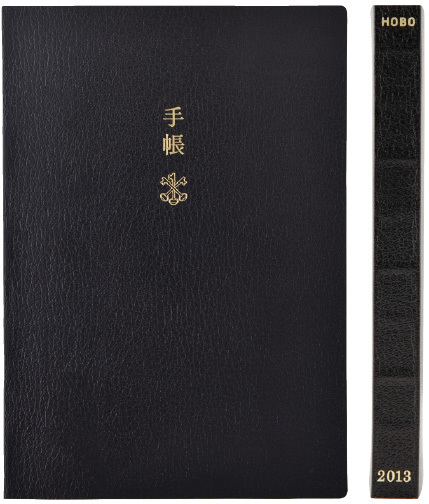 The covers available through the Hobonichi on-line shop are made of leather with a soft surface called “Smooth.” The covers available at the ARTS&SCIENCE shops are made of brushed leather with a harder feel. Hobonichi Planner books may be used with any Hobonichi Techo cover. 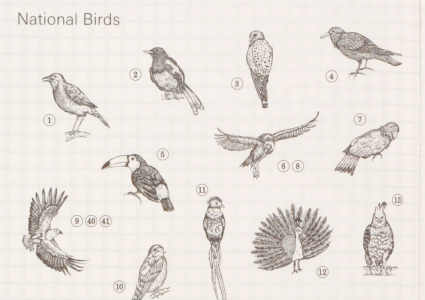 Hobonichi Techo books may be used with ARTS&SCIENCE covers.